Fabio Capello has made no secret of the fact that he will not be afraid to bring fresh faces into the England set-up, so here are 11 uncapped or out-of-favour players that he must be giving some consideration to. Capello has let it be known that an under 21 keeper has impressed him, and the worst kept secret in football is that it is Manchester City’s Joe Hart. Don Fabio might be considering blooding him straight into the senior team. While you would never want to be reliant on him at international level, Hibbert has been playing consistently well in Everton’s mean defence this season. He is also one of the few English out-and-out right-backs playing regularly in the Premier League. As with the right-back slot, although Warnock is never going to be an international regular there are few options at left-back beyond injury prone Ashley Cole and Wayne Bridge, and Nicky Shorey who seems to have gone off the boil a bit. Like Hibbert, Warnock has been solid for his club this season. Currently in outstanding form for Everton and must be close to a call-up from Don Fabio. The ex-Sheffield United man has been a rock in the centre of defence this season, but his versatility won’t do his prospects any harm. The Manchester City youngster has not made the headlines – for on or off the pitch exploits – that his team-mate Micah Richards has, but his assured performances won’t have gone unnoticed by Mr Capello. He may be at the back of a long queue, but if England selections are now to be made on form rather than reputation Onuoha could get his chance. Another of the English representatives in Sven Goran Eriksson’s multicultural revolution at Manchester City. Johnson has delivered some sparkling midfield displays this season which left Sven predicting a regular England spot for the youngster in the future. Touted for an England call-up prior to his lengthy injury lay-off, Jim is now returning to full fitness and form for Fulham. He keeps scoring goals and there are not too many top-flight Englishman who can currently claim that. Has been given a new lease of life under Harry Redknapp at Portsmouth. Defoe will always score goals (as long as you don’t leave him on the bench) and Capello might now be considering his omission against Switzerland a bit of an oversight. Joint-top scorer among the Premier League’s English contingent. The similarities to Wayne Rooney might end with ginger hair, but Capello can only work with what he has got. Missed the final cut of Capello’s first England squad but has been back to his best form since then. 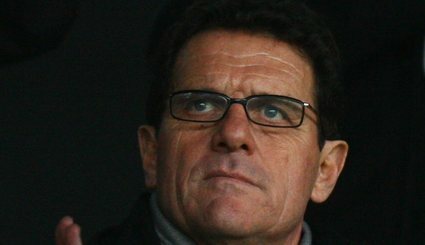 Although he has never been at his best for England, perhaps working with Capello could change that.